Keith Black began as a financial advisor in 1992 with another national firm. During his 16 years there, he ran a branch office working with individual clients, was a team leader in the operations division, recruited new advisors, and worked on a team of five overseeing 1,200 representatives. In 2008, Keith formed Commonwealth as an independent financial services firm and is a registered representative and investment adviser representative of Commonwealth Financial Network®. He holds an MBA from Washington University and a BSBA from the University of Missouri. In addition, he holds FINRA Series 7, 63, and 65 securities registrations and a life and health license for Illinois, Missouri, Washington, and Wisconsin. 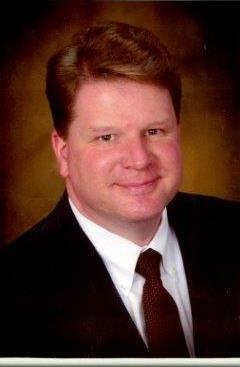 In 2012, Keith graduated from the College of Financial Planning and holds the CFP® certification. Keith and his wife, Wendy, live in Brookfield, Wisconsin, with their two children. Wendy Black began in the medical field in 1983, working as a medical technologist in the laboratory until 2000. She graduated from Maryville College with a BSBA in medical technology in 1983. Her second career is running the office, which includes customer service and account inquiries, transfers, office accounting, account cashiering, and office compliance. In addition, she oversees all account withdrawals and purchases on a weekly basis to maintain quality control. Allisun Young (Allie) is a graduate of North Park University with a bachelor’s degree in Nonprofit Management with a minor in Business in 2017. She is a Certified Nonprofit Professional (CNP through the Nonprofit Leadership Alliance, the only national nonprofit credential preparing students for leadership in their careers. Allie previously worked as an administrator for North Park University’s School of Nursing in Chicago, IL. She is a former intern for World Relief, a refugee resettlement organization, in Seattle, WA as well as Alive Rescue, an animal shelter located in Chicago, IL. Allie currently lives in the Brookfield area and graduated from Brookfield East high school in 2014.